No need to mess around with piping tips to get an adorable cake for your kid’s big day (or any other random day that requires cake!). DIY lemonade can bring your lemonade stand up a notch - and you can flavour it with fresh herbs from the garden, or colour it pink with grated beets! 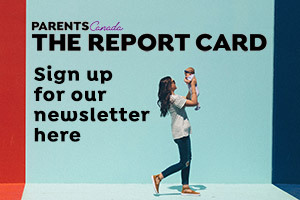 A new study hosted on the Angus Reid Forum for Barilla Canada reveals that although nearly all Canadian parents surveyed feel sharing meals is important to connecting with their children, less than half have family meals every day. With nearly one million Canadian children at risk of getting nothing to eat before they go to school, Breakfast Club and Minute Maid provide students across the country with Minute Maid 100% Orange Juice to help them start their day on the right foot.